Craniofacial Program from Le Bonheur Children's Hospital on Vimeo. At Le Bonheur, building a comprehensive craniofacial program involved formalizing a team of dedicated plastic surgeons, neurosurgeons, dentists, oral surgeons and other specialists, each who focuses on treating various skull and facial deformities. Laying the foundation for the hospital’s craniofacial program began, in part, with the recruitment of Frederick Boop, MD, co-director of Le Bonheur’s Neuroscience Institute, in 1999. 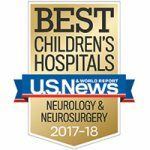 Boop, a pediatric neurosurgeon and one of the country’s leading experts on craniosynostosis, teamed with Robert Wallace, MD, medical director of plastic surgery at Le Bonheur, to lead Le Bonheur’s craniofacial program. Today, the program includes specialists from neurosurgery, plastic surgery, dentistry and oral surgery and attracts patients from across the country. “We have a multidisciplinary program at Le Bonheur that offers state-of-the-art management for people with craniofacial deformities so that families who have children with these problems can be evaluated and get the care that they need,” Boop said. Although there’s no known cause, craniofacial deformities vary from craniosynostosis, microcephaly, congenital ear malformations, cleft palate and lip, hemifacial microsomia and more. Annually, more than 7,000 children are born with a cleft lip or palate, according to figures from the Centers for Disease Control and Prevention, and make up a majority of all craniofacial deformities. Many of the facial and head deformities can be treated with surgery, including a craniectomy or implanting distracter plates. Surgeries are more than just cosmetic, however. The medical procedures also can help children with breathing disorders, speech impediments or feeding issues. In less serious cases, non-surgical positional molding has proven to be an effective method to reshape the skull. Most Le Bonheur craniofacial patients have surgery when they are between 6 to 12 months old, Wallace said. Annually, Le Bonheur performs more than 40 craniofacial surgeries. 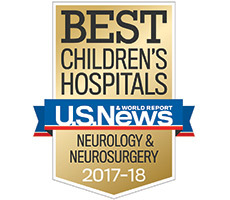 Because of the complexity of reshaping the skull or correcting a facial deformity, it takes a coordinated effort between Le Bonheur’s neurosurgery, plastics, oral surgery and dentistry teams to provide children with the best possible outcomes.